Man United fell further behind the pack after failing to pick up three points against West Ham, another club at the opposite end of the table. Here are three thoughts on the match, one for the beer, one for the whiskey chaser, the last for the Prozac. Last week, after their third consecutive draw at home in the league, José Mourinho characterized Man United as the “unluckiest team in the Premier League.” His assessment isn’t likely to change after their fourth. Yet, those not interested in excuses will tell the Special One you make your own luck. While Henrikh Mkhitaryan did hit the post and Hammers keeper Darren Randolph managed to palm a similar shot from Paul Pogba just wide, both Zlatan Ibrahimović and Marcus Rashford found themselves isolated on Randolph but failed to finish. This was a game United should have won despite Dmitri Payet’s perfect service gifting West Ham a second-minute lead. Yet, the home side’s shortcomings had more to do with the two dropped points than any intervention from the football gods. 2. José Mourinho needs to work on his motivational speaking. Even though Louis van Gaal is no longer in charge, United are still struggling to get out of the blocks in matches. Before Ibra’s well-timed run and header squared the score on twenty-one minutes, the win over Swansea was the only league match in which United had scored inside the opening half-hour. Although the play is certainly more urgent under Mourinho, his squad seems unable to hit the pitch running. 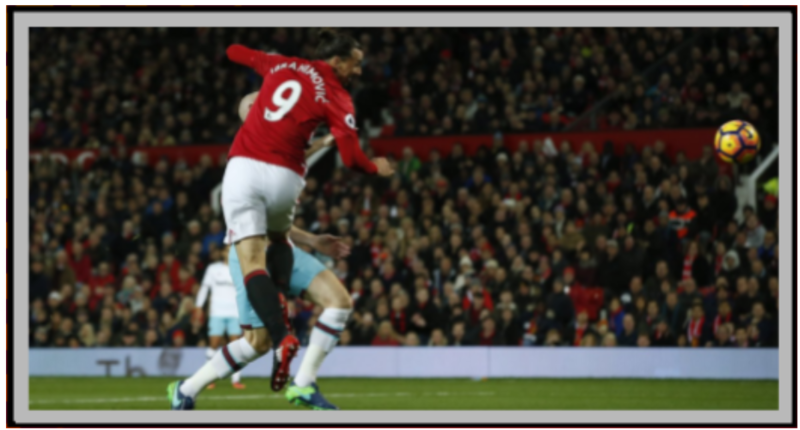 There was an immediate response to Diafra Sakho’s header, with two or three clear chances before Zlatan’s equalizer, but slow starts have buried the Red Devils eleven points behind Chelsea. What’s more, having returned to level terms, United began the second half in a stupor. Invited back into the match, the Hammers wasted a pair of opportunities to steal all three points. It’s difficult to understand. Mourinho was sent to the stands in the first half; he wasn’t barred from the dressing room. You wouldn’t think so from his sideline antics, but the Portuguese seems to have a tranquilizing effect on his players. Ibrahimović, Paul Pogba, and Ander Herrera all have short fuses. When he’s in the side, Rooney does, as well. Somehow, their equally tempestuous boss needs to find a way to send them on the pitch in a foul mood, rather than waiting for a questionable call from the official or an opposition goal to set them off. 3. Jesse Lingard is putting it together. Given their comparative size, speed, and technical abilities, the player you’d expect to struggle more between Paul Pogba, Marcus Rashford, and Jesse Lingard would surely be the latter. Rashford is roughly four years the junior in the trio, so mental errors and confidence issues are understandable for him. Yet, Lingard is not just making fewer mistakes. He’s developed a positional sense and reading of the game you wouldn’t expect from a twenty-three-year-old. Pogba is also twenty-three. The Frenchman has greater athleticism and skill than Rashford, and far greater experience than Lingard. Yet, his choices aren’t nearly as wise. While Lingard was a step offside when tapping in the rebound from Mkhitaryan’s post shot, the important thing is he showed a poacher’s instinct. Just as the run he made across the top of the eighteen against Feyenoord to get off the curling far-post goal was instinctual. Pogba, meanwhile, more often runs into trouble than away from it. Finding the right combination in his starting XI has been difficult for Mourinho, but the reasons he has stuck with Lingard over more gifted teammates are becoming evident. Long may the young man’s growth continue.